The archaeological study of movement and of its related patterns and features has been transformed by the use of GIS. Path analysis has become a very popular approach to the study of settlement and land-use dynamics in landscape archaeology. This volume addresses theoretical, technical and interpretative issues and presents case studies. This work still remains the handbook of egyptian archaeology. For beginners this book will open a fresh and fascinating field of study, while for skilled archaeologist these pages contain new facts, new views and new interpretations. Sailing the Nile and armed with sketch-book and measuring tape, Amelia Edwards carefully recorded all she saw of the temples and monuments, and provided in A Thousand Miles Up The Nile the first general archaeological survey of Egypt's ruins. 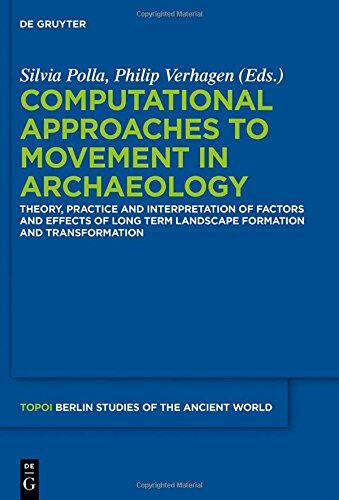 This volume covers the thematic fields of geoarchaeology, archaeobotany, materials analysis and chronometry. The advances of Australasian archaeology set out in these papers will find a receptive audience among many archaeologists elsewhere. by Percy S. P. Handcock - Macmillan & Co.